The Mimo range will add a fresh and stylish look to any bathroom with its unique rounded basin and WC designs. Laufen are one of the leading manufacturers for sanitary ceramics which is used worldwide. all Laufen products are extremely easy to install and comply with the specifications of different countries. 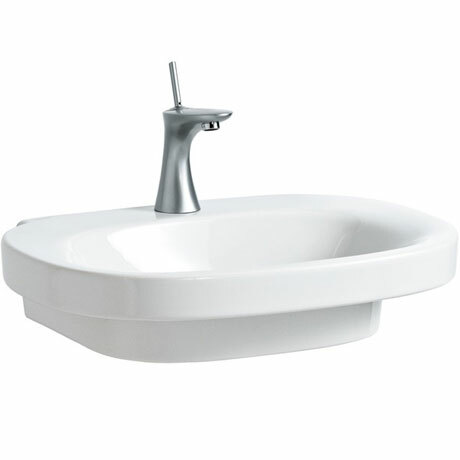 This high quality 1 tap hole ceramic basin can be mounted on a semi or full pedestal, a counter top version is also available. Please note taps, wastes and fixings not included. Pedestals sold separately.